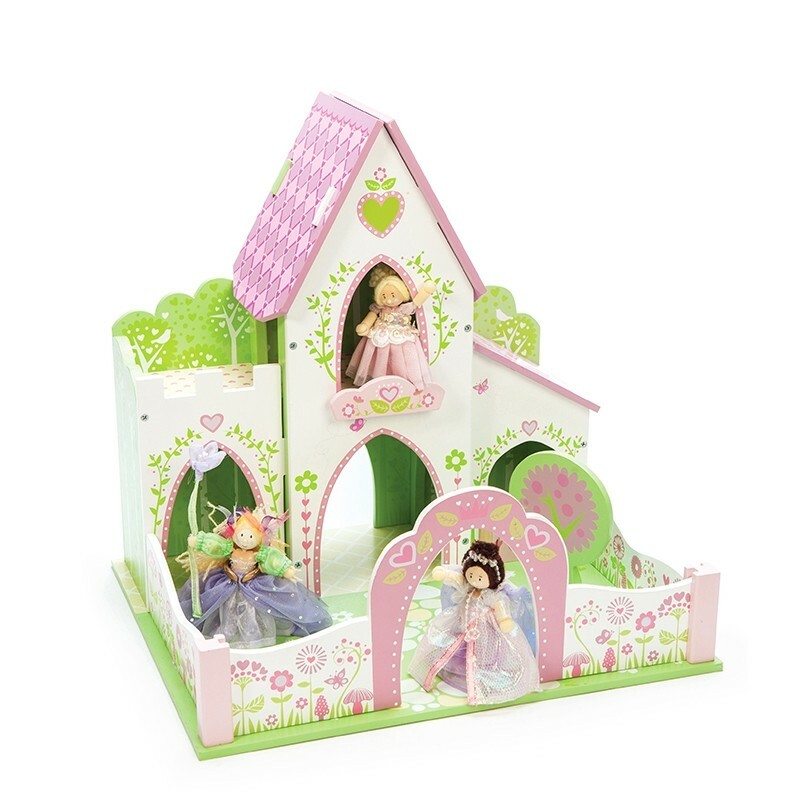 A highly detailed decorated wooden fairy castle. 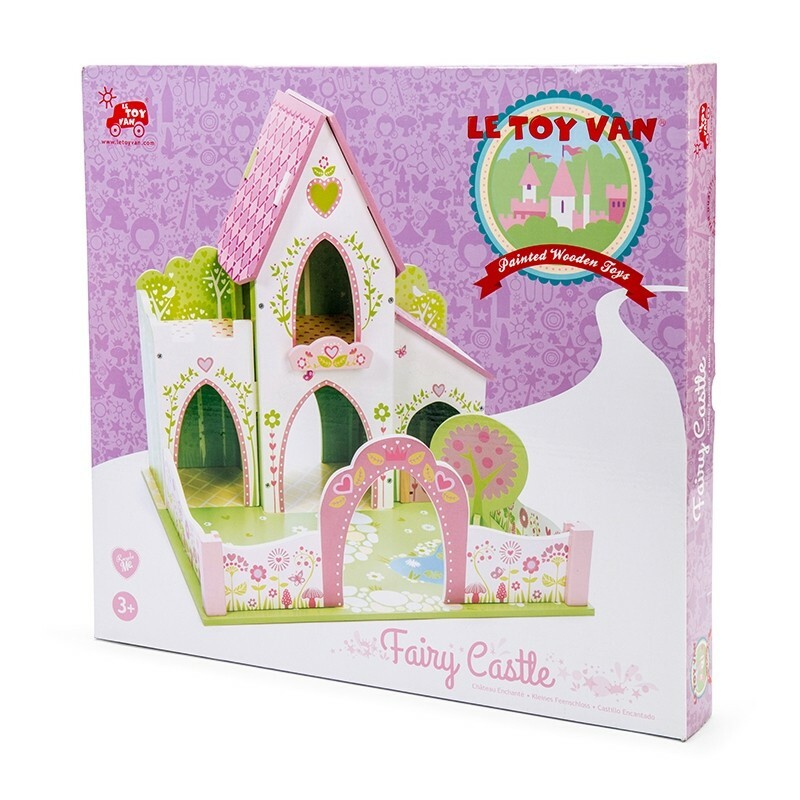 Unique Le Toy Van illustrations- perfect for a princess. (Scaled for Le Toy Van Budkins fairies and compatible with popular plastic figurines around 10cm tall).